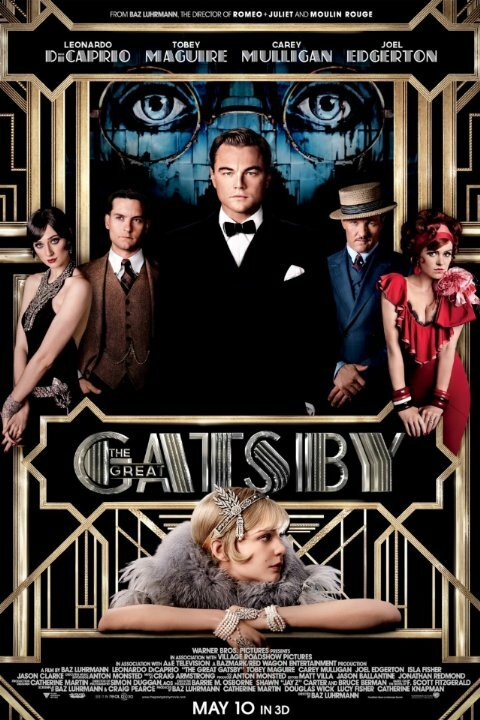 Baz Luhrmann makes The Great Gatsby come alive! The visuals, the costumes, the sets, and the music all bring one back to the Roaring Twenties. The cast is excellent although some are overlooked for reasons I cannot pretend to know why. This movie got $132,782,832 at the box office but a other rich man to the rest home MR stark. this movie had mix review's by critic's but I think this movie was ok.this movie has good visual's/good acting/. I really liked this movie a lot. It was hard to get used to at first, no doubt, but once I got past a few of the crazy scenes, I really gravitated towards the story, how it was told and Jay Gatsby's character. DiCaprio is outstanding in this movie despite what you may have heard. The cast is actually pretty good, even Maguire is acceptable as the Dorky narrator. Highly recommended if you like visual dramas with good music. The Great Gatsby is in my eyes the perfect example of style over substance. While it is easily Baz Luhrmann's best film, he not only creates a an environment in which reality is scarce, but a 3D Hollywood-fest, that basically screams: I'm Pretty! through its excessive over-the-top acting and surprising Jay-Z music. Luckily, one of the better points of the film is Leo. He's my favorite actor, so there's no wonder he would light up the dark, but he came off more Oscar-willing than Oscar-worthy. Substitute 'SHUT UP SHUT UP' with 'GIVE ME AN OSCAR' and you'll see why. World literature also survives, without the help of Hollywood, decades. Effortlessly . The ambition of the dream factory so is quite an artistic and commercial risk . So there are about F. Scott Fitzgerald's modern classic novel " The Great Gatsby " no completely satisfactory film version , last failed director Jack Clayton and his leading actor Robert Redford in 1974 at the tricky task. Also Baz Luhrmann adaptation struck in the run against a certain skepticism . Roman purists feared the Australian would destroy Fitzgeralds' finely honed prose in favor of exuberant visual stimuli. I skipped reading it in high school so many times, I might as well pay my teachers back by going to see this book to movie piece.